Hi everyone, it's been a long time coming (as you can tell from our Devblog) but we've finally released on Itch.io. We are in first access at the moment but we've just added update#2 and are well on shedule to release fully next year (hopefully Q1) on Steam and other stores. What is it? 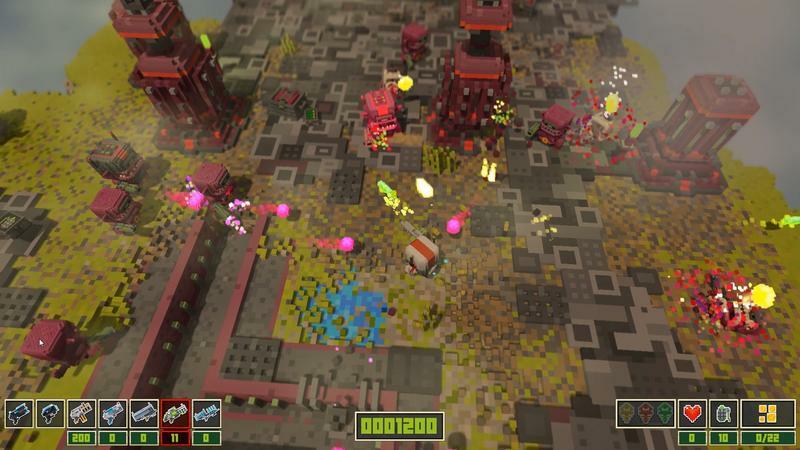 I hear you ask, well, Smith and Winston is a voxel-based twin stick shooter with a focus on exploration. With fully destructable hand crafted levels and fun puzzles. Along with engaging combat with a variaty of enemies and bosses and an assortment of items and achievments to collect. We think its a lot of fun and from feed back with players, they agree. You take on the role of Smith or Winston (or both as we have local co-op planned), two hapless adventurers, as you explore a shattered ring world and uncover its secrets, fight invading aliens and prevent the impending doom of the star system. Only you can save the world from the evil that's approaching and perhaps ultimately the galaxy itself... or not. Also head over to our tigsource devblog if you would like to see how the game has developed over the years. Still working on achievements and rapidly running out of ideas, we even discussed tracking the amount of toilets the player chucks off the world. 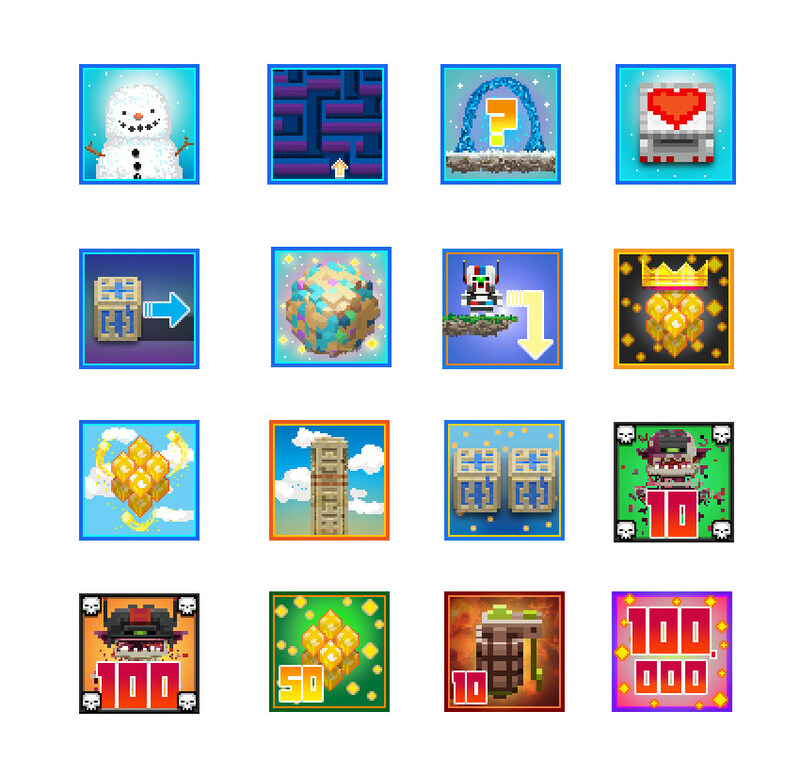 But decided against it as it required too much code changes, which is a shame as that would have made a great icon. Trying something new with our screenshots it's from ingame but I've croped it in and focused on the action a bit more. Today we released a 32MB patch to Smith and Winston fixing a few small issues that have been reported by players and one we noticed in a Twitch steam. On lower end machines players are having to turn down the amount of debris. THIS IS NOT ACCEPTABLE. 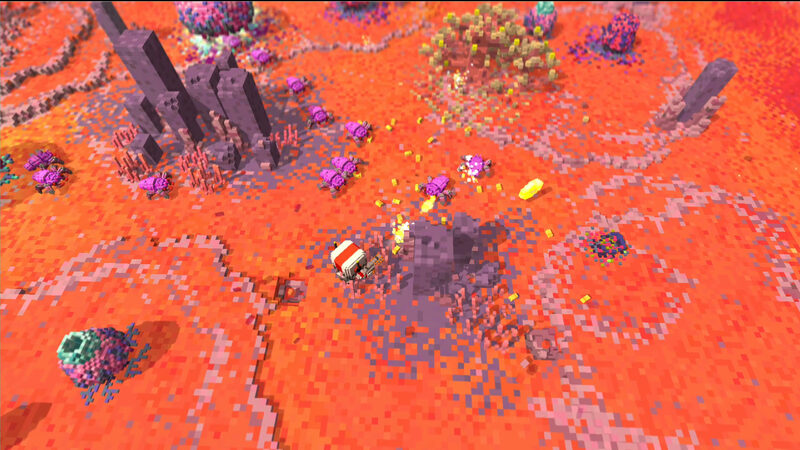 So we’ve tweaked the physics a bit to get some more juice from your CPU and get some more debris on screen at 60 fps. Because we are idiots we didn’t think about heads properly. So if you collected one of the hidden Collectable heads in the game you could never switch back to a standard Smith or Winston head. Well now you can. Some of the Shippy text when you’re at the crash site didn’t fit in the little Shippy box. We know no one is going to read this text but we really want you to be able to ignore all of it properly, in it’s entirety with aplomb. If you pressed the equals key (‘=’) you seemed to randomly warp around the level… even to places that you can’t get to normally. We use this debug feature to quickly test new areas of the level and you were never supposed to have such powers because we just can’t trust any of you naughty people can we? Look out for this feature accidentally being re-enabled because “we are idiots” . Another oversight was that pressing the HOME key brought up a very useful debug window with loads of wibbly buttons and sliders and gizmos and yeah, we’re idiots, that’s not for you. Even I don’t know what most of those buttons did. A glyph is a fancy word for one of the letters in a font. We cleaned up the glyphs that represent the controller buttons for PSX and XBox controllers so they are less… poopy. Another day another update this time its Update #4, getting close to release now. 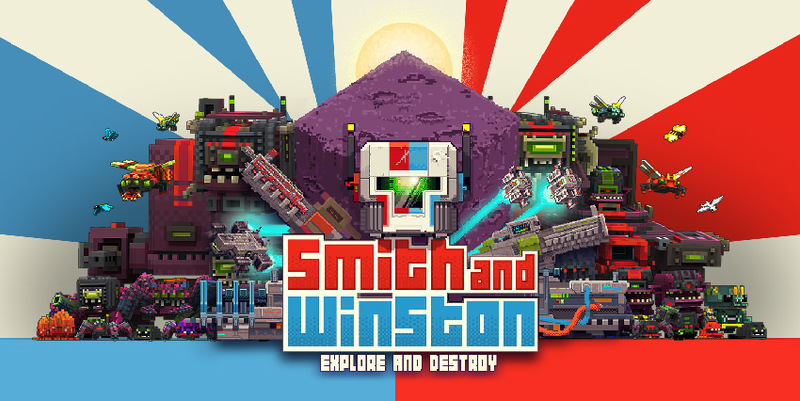 We've released a new update to Smith and Wintston! This is mainly a metric ton of tweaks to the first half of the game to make it more balanced and more fun to play. Thanks to everyone that gave us feedback and helped make the game even better. Added a BETA TEST menu so player can test specific features of the game and give us feedback without destroying their Arcade Save games. We’ll be adding things to this menu and asking for feedback a lot we think. After the player dies in a level specific enemies don’t restore so it becomes ‘slightly’ easier to finish the level. The cost to the player is that they will get a slightly lower score because there are less enemies to kill. Upgraded BGFX rendering code. At least 10% faster on all platforms. Skip cutscene text is now correct for controller, KB/Mouse users. Mining Laser now shoots from closer to the player so that when right up against the wall it actually hits it. This makes running through the caves and mines a lot easier. In some levels the player plows through snow or mud, after they died this stopped working, this is fixed. custom in game cursors appear in front of the shippy text.